I am still super busy making beautiful jewellery for the Fair I will be attending in just over 1 weeks time. 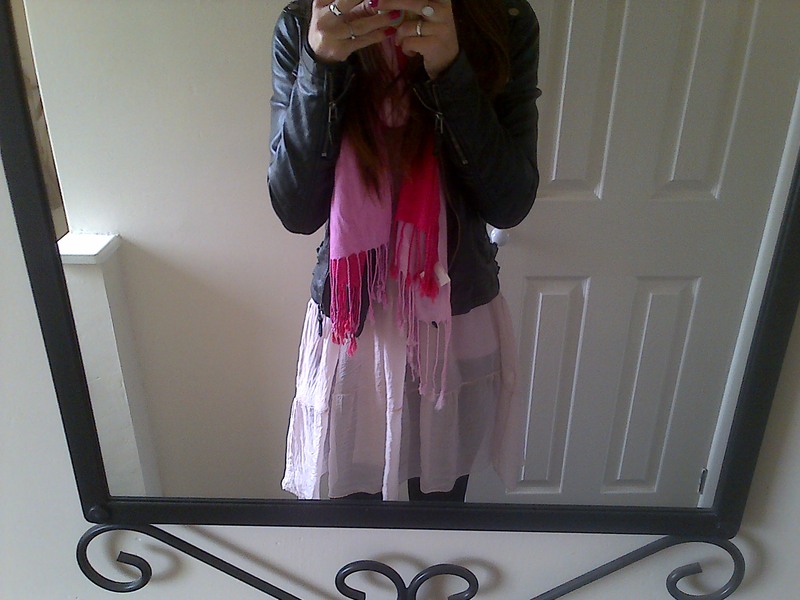 I have however, managed to snap a quick pic of my outfit today. I am wearing my new Chiffon Dress which I purchased from a local boutique reduced from £49.00 to just £15.00. It is so whimsical & enchanting, it has bell sleeves & it just so pretty to wear. It reminds me of something Stevie Nicks would have worn in the 70’s! I did a little shopping today to pick up some new materials. I had a wonderful find in New Look, a jacket I have lusted over for months….more on that later. 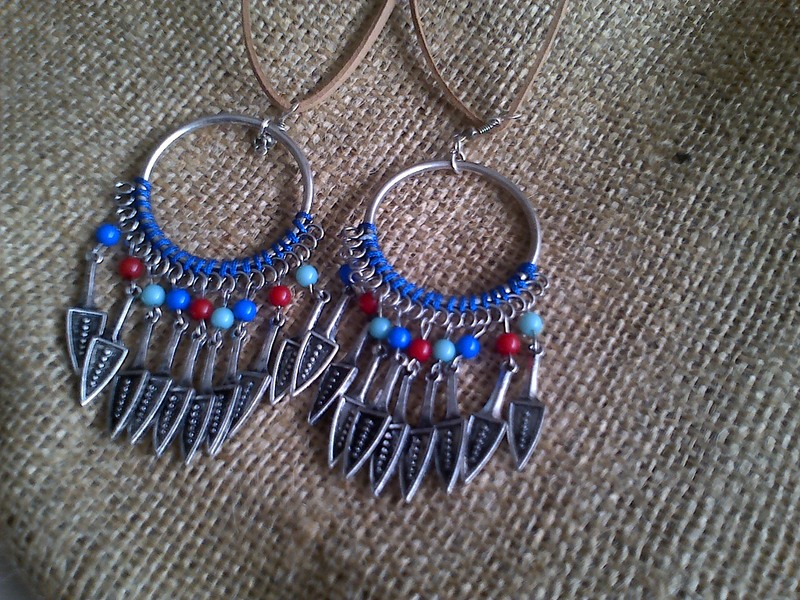 These beautiful Native Necklaces are my latest creations. Hung on a faux suede cord they are beautifully bohemian. 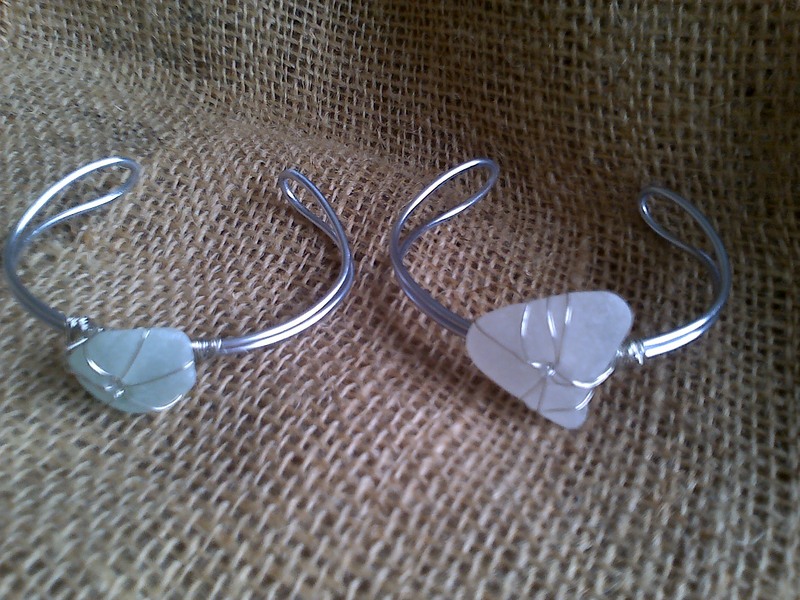 I have also been making some Sea Glass Cuffs. They are so delicate & pretty, I am so happy with how they look. 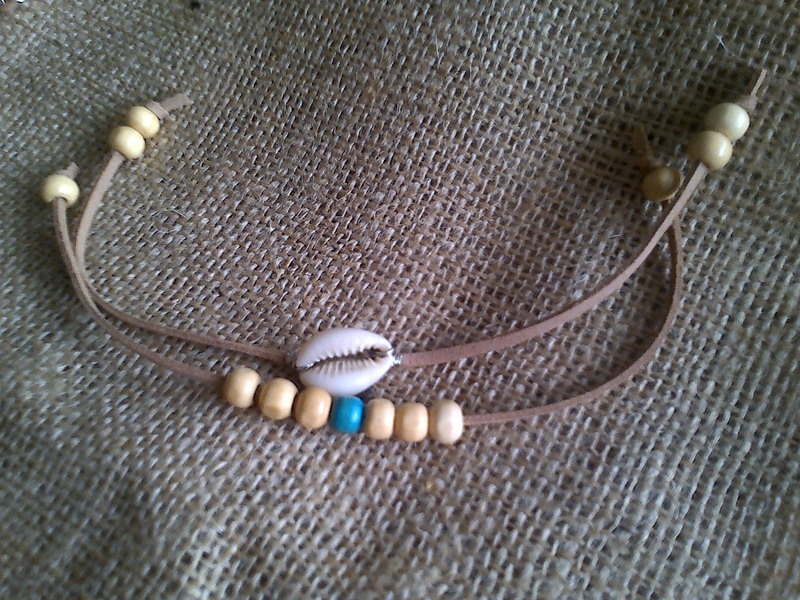 I have also made a Cowrie Shell & Bead Bracelet Set. I am thinking of making these a twin set & maybe even attaching them together. I love the beachy feel of these cute bracelets. 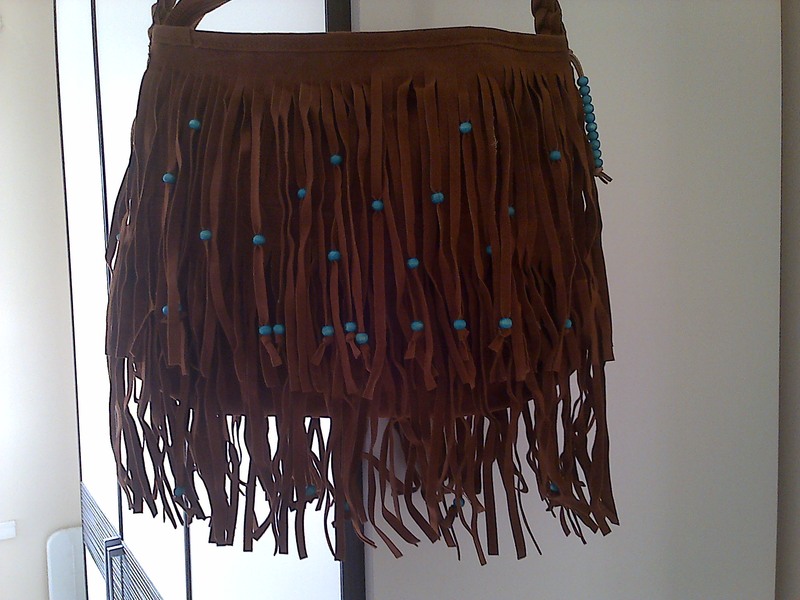 I am also super busy hand beading a gorgeous fringe bag. I have added some pretty turquoise beads & created a charm to match. It is proving to be very time-consuming but well worth the effort! Feeling like Stevie Nicks is always a good thing!! So true! I should have taken a full picture of the dress, it is so lovely! very cute and boho 🙂 Love the jacket!